The Magicard Enduro3e Double-sided printer is a perfect choice for small and medium sized businesses that are looking to print high quality and secure cards on demand. The Magicard Enduro offers the print quality, security and reliability of professional series ID card printers at an affordable price. The innovative design of the Magicard Enduro 3e offers flexibility and scalability that ensures that it will meet the requirements of your application and adapt to future needs. You can easily upgrade the Enduro 3e printer from a single-sided printer to a double-sided printer with its innovative field-upgradeable double-sided upgrade kit. 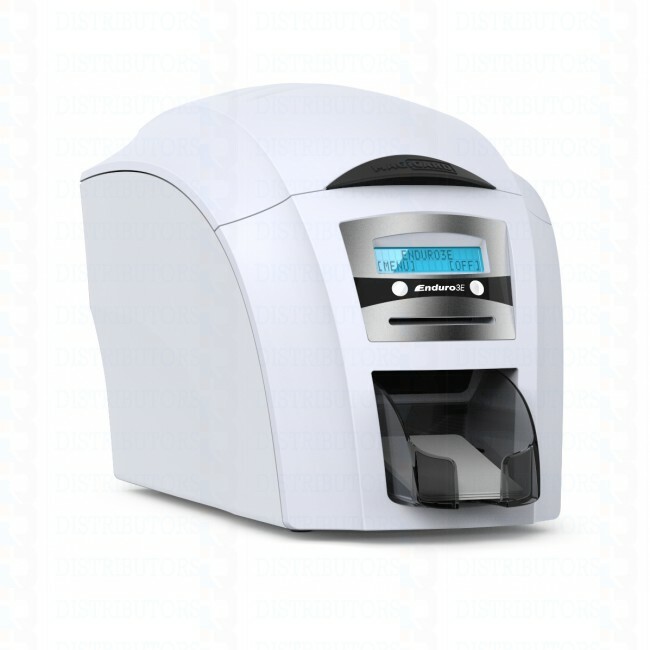 The small foot-print of the Magicard Enduro 3e Double-Sided Photo ID card printer ensures that it will fit in any office space or receptionist counter. 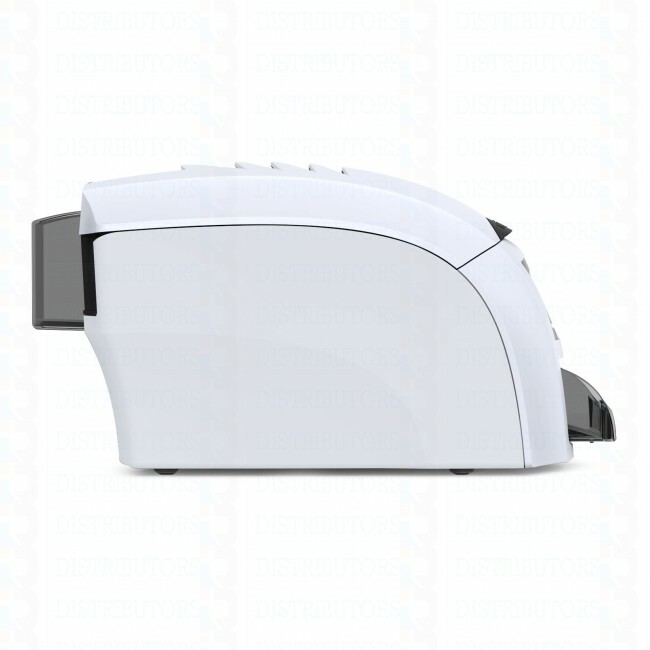 The Enduro 3e unique clamshell design makes it easy for users to replace ribbons and refill cards during card production. 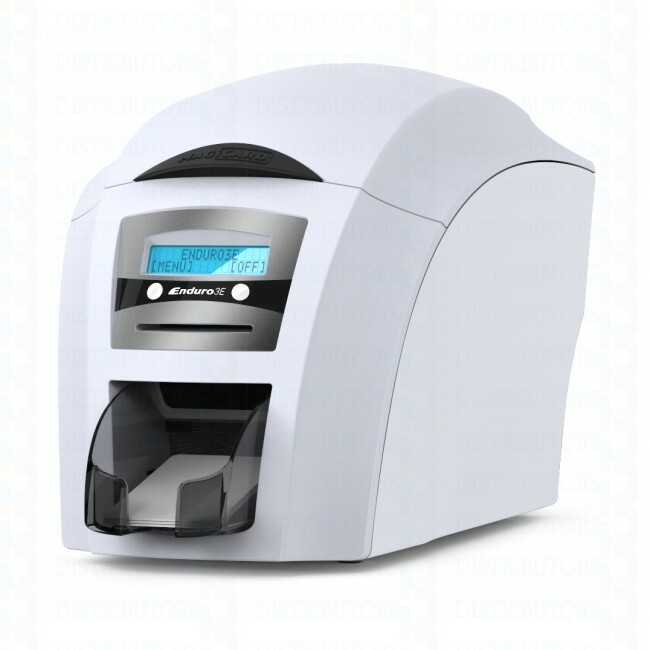 The Magicard Enduro card printer features both a 100 card input tray and single-feed slot at the front of the printer to accommodate high volume and low volume card production. All Magicard printers are backed with the best warranty in the industry. The Magicard Enduro3e card printer comes with a 3 year printer and a 3 print head warranty. This warranty includes direct Manufacture support and life time phone support. Optional Magnetic encoding and contactless encoding modules are available for Magicard Enduro ID card printers. 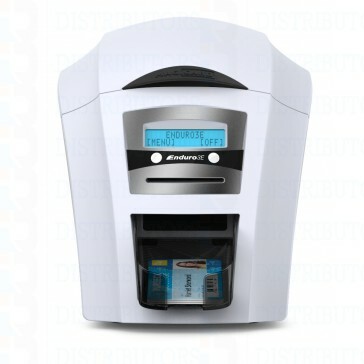 The encoding features include: ISO 7811 3 track magnetic stripe encoding, Mifare, Desfire, and contactless encoding. These encoding modules allow users to seamlessly print and encode technology cards with a single pass through the printer. See below for a list of Pronto models that include these optional encoding features.